The mission of AgBiome's Philanthropy Committee is to find volunteer opportunities in our community to help give back and improve the lives of those who live here. We have several exciting projects coming up and will be providing updates as they happen. 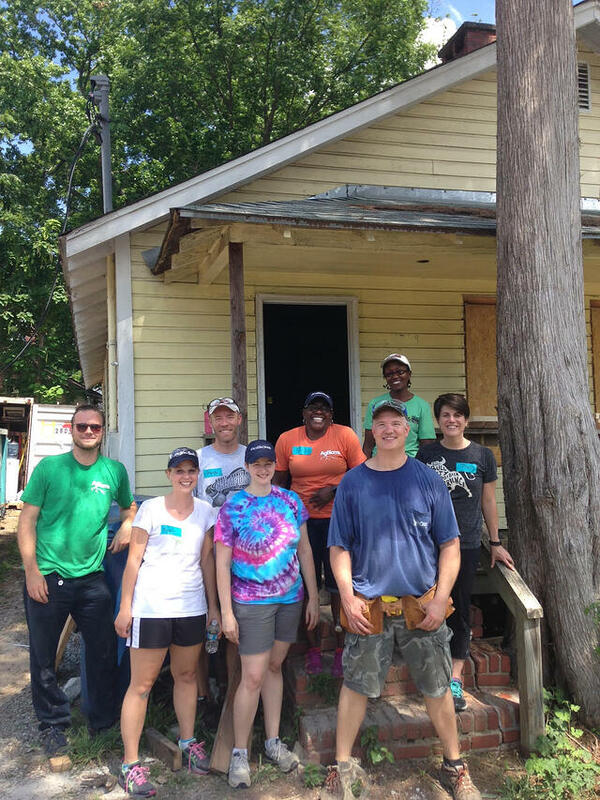 One of the organizations we’ve identified to work with is the Durham chapter of Habitat for Humanity. 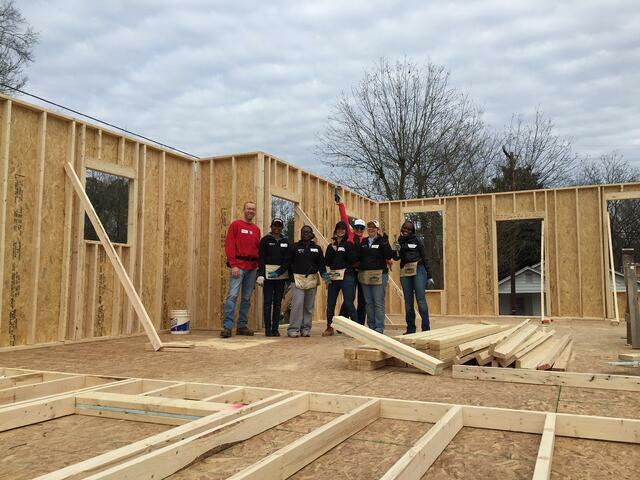 This February, we braved the cold and helped build 3 walls with the help of several expert volunteers. Courtney Bogard, one of the AgBiomers on site commented; “It was incredibly rewarding to be able to meet the homeowners and help them construct a safe and beautiful place that they can call their own. It was also a fantastic chance to get to know some of my awesome co-workers and do something meaningful together.” As of early June, the house has been finished! Check it out here. 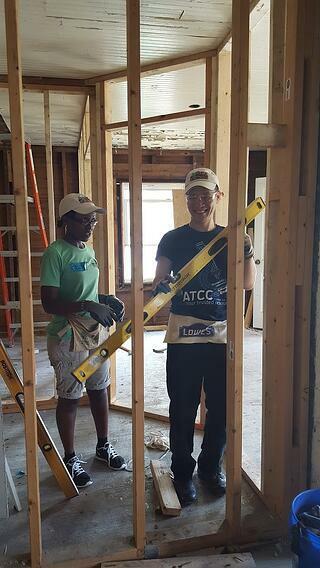 On Friday, June 16th, the AgBiome Philanthropy Committee worked their second project with Habitat for Humanity on a home renovation in Durham. For this project, nine AgBiomers helped with blocking for drywall installation, electrical outlet removal, preparation of reclaimed wood, and framing in the home. We had a few experienced volunteers and several novices that were able to knock out several projects while on-site. Everyone is looking forward to participating in another Habitat project this fall.